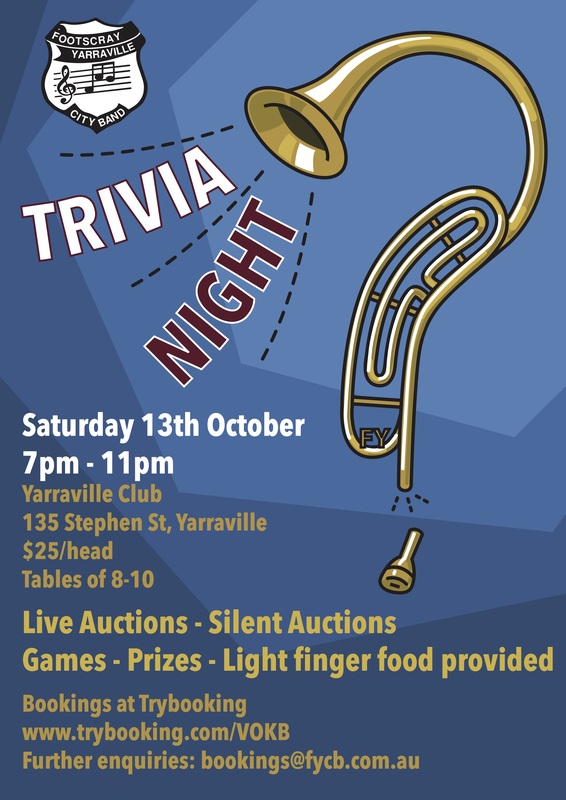 Join FYCB members/friends/family/fans/groupies for a whirlwind adventure of brain busting trivia! There will be silent auctions, games, prizes, finger food and of course, compulsory fun! Tables of 8 to 10 at $25 per head. Needless to say, it would cost you NOT to buy! Head to www.trybooking.com/VOKB to secure your seats!